Do you still remember singing Pabasa or Pasyon, the Lenten tradition of chanting the life, passion, death and resurrection of Jesus Christ? 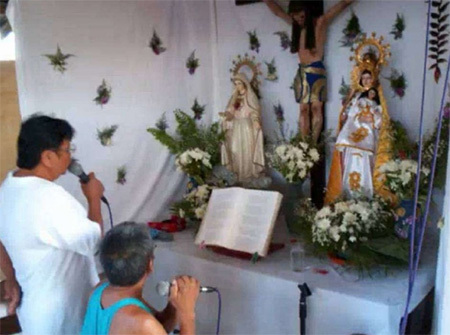 Pabasa is usually sung by a group of elderly people during Holy Week. I’ve experienced joining Pabasa when I was young. The chanters usually use wireless microphones at guitarcenter.com and speakers so the message will be heard in the neighborhood where the Pabasa is held. In the absence of Pasyon chanters in your place, you can now hear Pasyon online through the website of the Catholic Bishop’s Conference of the Philippines (CBCP). This entry was posted in Musical instrument, Occasion and tagged Holy Week, Pabasa, Pasyon on April 11, 2017 by Mommy Yam.